Quadro Residences @ KLCC Park boasts the perfect setting for this vision – with world class address of 1 KLCC Drive – in a tranquil setting, by the 50 acres KLCC Park – and walking distance to KL’s main Shopping-Hotel-Office destinations. 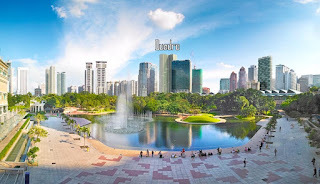 Quadro sits on a prime corner site, almost abutting the renowned KLCC Park. It is strategically located in the middle, with 3 minutes walking distance to KLCC Shopping-Hotel-Office Precinct ( to the North ) and 4 minutes walking distance to Bukit Bintang Shopping-Hotel-Office Precinct ( to the South ). In addition, Quadro is situated at 1 KLCC Drive, an ideal quiet location that abuts the famous ‘Suria-KLCC’ to ‘Bukit Bintang-Pavilion’ Shopping-Hotel-Office Belt. Built-up Area : 1,500 sq.ft. - 2,300 sq.ft.